Acadiana Patios & Construction, L.L.C. is locally own and operated in the U.S. Acadiana Patios & Construction, L.L.C. provides its products & services. 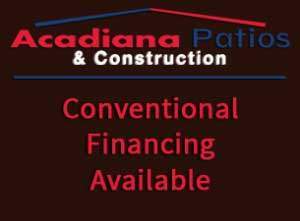 Acadiana Patios & Construction, L.L.C. 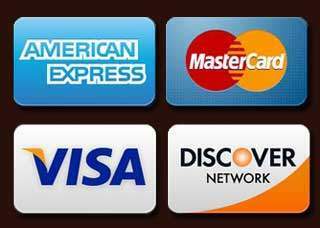 currently serves Lafayette Louisiana, Acadiana Areas and, and possibly other Local Louisiana cities. Acadiana Patios & Construction, L.L.C., we specialize in Pest Control, Lawn Care, Termite Control, Termite Inspection, Landscape Care, Landscape Maintenance, Lawn Care Services, Lawn Maintenance, and Rodent Control. Our website address is https://acadianapatios.com/. Our online forms collect a wide range of assorted data. Our Contact Us form collects information so that we may prepare and then provide our products or services to our customer base. (e.g., Service Category Requirements, Name, Address, Email Address, Phone, Your Specific Needs from our company, Square Footage of the area needing our product or service, Home or Business. Also, when do you require said product or service, as well as attachment photos. ), and the visitor’s IP address and browser user agent string to help spam detection. Our Application for Employment collects information such as Name, Address, Email Address, Phone, Mobile Phone, Veteran Information, Citizenship, if selected for employment are you willing to submit to a background check. Also, Position You Are Applying For, Available Start Date, Desired Pay, Employment Desired (Full, Part-Time, Seasonal), Education, References (business and professional only), Employment History, as well as resume attachments. Currently, we DO NOT allow comments on any Blog or Blog Post. Our Contact Us form collects information so that we may prepare and then provide our products or services to our customer base. (e.g., Service Category Requirements, Name, Address, Email Address, Phone, Your Specific Needs from our company, Square Footage of the area needing our product or service. Also, Home or Business, when do you require said product or service, as well as attachment photos. ), and the visitor’s IP address and browser user agent string to help spam detection. We use Google Analytics to analyze the use of our website. Google Analytics gathers information about website users using cookies. The information gathered relating to our website is used to create reports about the use of our website. To carry out our obligations under that contract, we must process the information you give us. Some of this information may be personal information. Additionally, we may aggregate this information in a general way and use it to provide class information, for example, to monitor our performance concerning a service we provide. If we use it for this purpose, you as an individual will not be personally identifiable. Acadiana Patios & Construction, L.L.C. We have in place a process to assess the likely risk to individuals because of a breach. We have a process to notify of a breach within 72 hours of becoming aware of it, even if we do not have all the details yet. We know what information we must give about a breach. Third parties may advertise on our website. In doing so, those parties, their agents or other companies working for them may use technology that automatically collects information about you when they advertise on our website. Currently, our website does NOT provide a service which includes automated decision making – for example, allowing customers to apply for credit, or aggregating their data into an advertising profile. We collect information about visitors who comment on Sites that use our Akismet anti-spam service. The information we collect depends on how the User sets up Akismet for the Site, but typically includes the commenter’s IP address, user agent, referrer, and Site URL (along with other information directly provided by the commenter such as their name, username, email address, and the comment itself). However currently, we do not allow comments on any Blog or Blog Post. If you visit one of our pages featuring a YouTube plugin, an established connection to the YouTube servers made. Here the YouTube server is informed about which of our pages you have visited. If you’re logged in to your YouTube account, YouTube allows you to associate your browsing behavior directly with your “Personal” profile. You can prevent this by logging out of your YouTube account. YouTube is used to help make our website appealing. As so, this constitutes a justified interest under Art. 6 (1) (f) DSGVO. Our website uses features provided by the Vimeo video portal. This service provided by Vimeo Inc., 555 West 18th Street, New York, New York 10011, USA. If you visit one of our pages featuring a Vimeo plugin, an established connection to the Vimeo servers created. Here the Vimeo server is informed about which of our pages you have visited. Also, Vimeo will receive your IP address. Also, applies if you are not logged in to Vimeo when you visit our plugin or do not have a Vimeo account. The information transmitted and stored on a Vimeo server in the US. If you are logged in to your Vimeo account, Vimeo allows you to associate your browsing behavior directly with your “Personal” profile. You can prevent this by logging out of your Vimeo account. For this purpose, your browser has to establish a direct connection to Google servers. Google thus becomes aware that our web page was accessed via your IP address. The use of Google Web fonts is done in the interest of a uniform and attractive presentation of our plugin. This constitutes a justified interest under Art. 6 (1) (f) DSGVO.